No doubt that January is the most awaited month for collectors and dolls’ lovers. After all the whirlwind of Christmas holidays, it’s time to renew, and this is something they do very well in “El Valle del Juguete” (Toy Valley, as it’s known in whole Europe). Within September or October, factories begin to work on new projects, and from the imagination of the most prestigious artists come new faces and characters that will delight young and old. Paola Reina, the great reference of the dolls’ world, is one of the brands that surprise us every year with her new ideas and designs. And what ones they have this time! 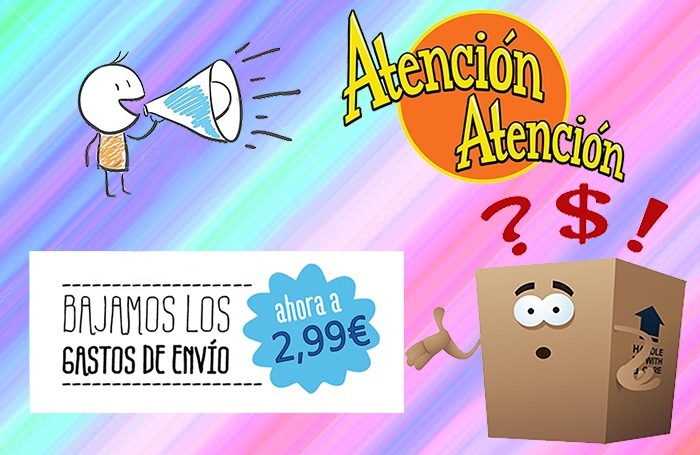 The brand’s lovers, and more specifically of “Las Amigas” (Friends), are in luck: the new catalog of this Onil’s dream factory has already come out, and it won’t leave anyone indifferent. If you thought you had seen everything about “Las Amigas” from Paola Reina, you were wrong. 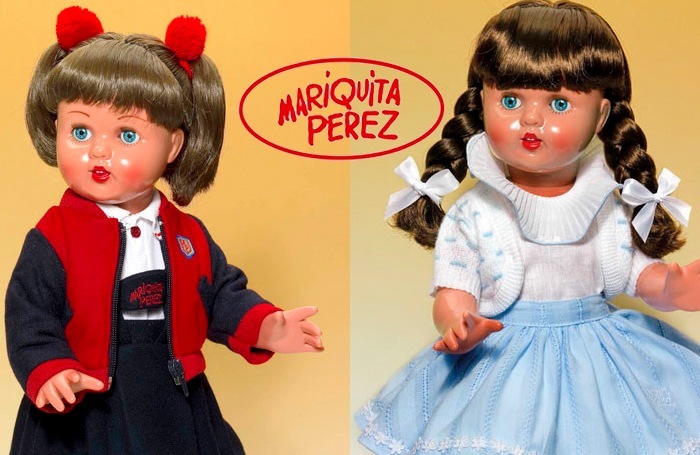 The brand surprises us this year with a mini version of one of its precious molds; they are the “Miniamigas”, a version of the mythical doll, now 21 centimeters tall. We will have to make room, because they are tiny, but irresistible. It is an absolutely adorable “mini” version, which, in this first edition, has six different models. They are all from the same mold, (the original Carol or Cristi), but with different outfits, hair and hairstyles. We hope that, among the next novelties, there will be mini versions of Liu and Cleo, because surely they will cause as much fury as these. 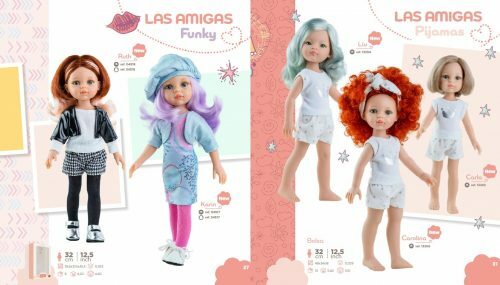 Along with the minis, the new models of Las Amigas in its original size of 32 centimeters, bring us imaginative hair colors, as well as renewed attire. Especially striking are the new Amigas Funky, Ruth and Karin, who bring California wicks and violet hair respectively. The dresses of this new catalog provide renewed lines and colors and vibrant and cheerful prints. To highlight the line of pajamas with silver accents with which we can dress our girls and make a “pajama party” in style. We’ve already made a basic summary of Paola Reina will bring us this year. Let’s analyze now these novelties in detail, because you may not have noticed some things in this catalog. 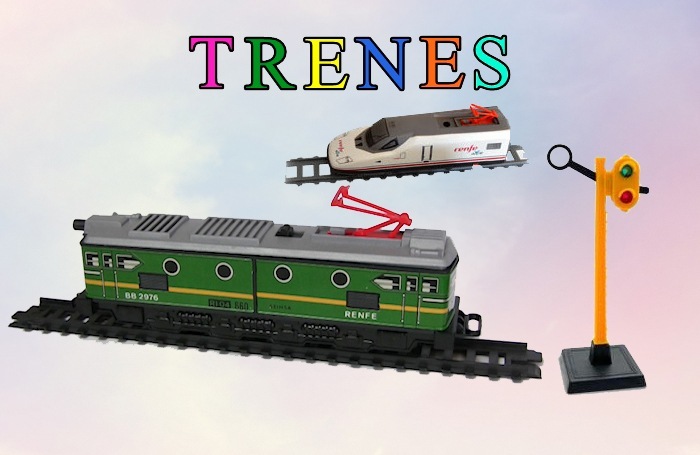 Six are the models that Paola Reina has released for this new Las Amigas model. As you can see, the mold is the same: the Caucasian face. Martina: ashed-blond hair with French cut or “Bob”, with smooth bangs. Blue-gray eyes. Paola: natural redhead, with wavy hair and blue-gray eyes. Valeria: this “mini” is very similar to the model of the previous year, which came to replace “Claire communion”, which as you know, originally had the mold of Cleo, but in 2018 was replaced by the original Caucasian mold. With the same hairstyle and blue-gray eyes, it is the same baby, but smaller. Triana: this “Miniamiga” is especially nice. She has natural red hair, with a very funny hairstyle picked up in two small pigtails that leave part of her hair loose. Waves and ringlets complement the hairstyle. As a striking fact, the color of her iris is turquoise blue, and, as seen in the photos, her face is dotted with freckles. Elena: perhaps the sweetest one of the group, because with that golden pink hair it looks like a cake. It’s a mini version of the blue and silver Funky with which we were surprised last year. Estela: the hair of this little girl is simply amazing; a cascade of brown and straight hair that reaches almost to her ankles. His eyes are blue-gray. If we look closely at the catalog of Paola Reina for this 2019, we will see that Las Amigas of 32 centimeters also bring some surprises. To begin with, there are obviously new outfits, but beyond the clothes we can appreciate something that collectors love: New hair! Among the Funky we can see as a novelty the beautiful violet hair of Karin, a freckled one with watery blue eyes that, by the way, brings a very nice outfit. Beside her, Ruth shows a two-color look with clear tips and dark roots. But they are not the only new styles among Las Amigas. Have you seen the pajama section? Yes! There is a new girl, with the beautiful name of Carolina, who has the hair of Erin’s color. It’s neither orange carrot like the Funky, nor natural redhead like the Cristi. So … How is it different from Erin? Well, as you can see, it has she has curled hair. She’s like a little redhaired lioness! In short, news in bulk, (and we have only revealed the ones about “Las Amigas”). So we better go piggy bank, because these girls are irresistible, and they’re from now a “must have”.